Our love of travel was sparked by our trip to Boracay two years ago. The island’s pristine beach and powdery white sand really captured our hearts, and this made us want to explore other beautiful destinations in the Philippines. This year, we were able to visit Bohol and Cebu for a short vacation, and we really enjoyed spending time together as a family during these lovely getaways. Hopefully, next year, we can visit our dream destinations outside of the Philippines, too. First on our list is Orlando, Florida. A trip to Orlando is actually more for our 6-year-old son than for my husband and me. I’m sure our young man will have a blast getting a tour of Wet ‘n Wild, Gatorland, SeaWorld, Disney’s Wide World of Sports Complex, Ripley’s Believe It or Not Museum and Universal Studios. We would also love to visit Canterbury in Kent, England. That’s because we want to see castles and relics that we only get to see in the movies. And while in Kent, we would make a side trip to Manchester. The food lover in us would like to try the different cuisines being offered at various restaurants in Manchester. In particular, we are very much interested in visiting this red hot restaurant that people are raving about. This restaurant serves Indian, Italian, Chinese, Thai, Mexican, Japanese and English dishes. 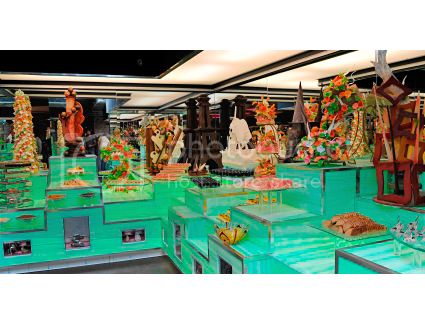 Aside from serving world buffet, they also run exciting promotions that will surely make customers come back for more. Customers can also book in advance for a hassle-free dining. This entry was posted in Canterbury, Dream Destination, Manchester, Orlando, Travel, World Buffet. Bookmark the permalink.